With every new technology advancement, there also arrives a new risk of identity theft. Recently, NBC News alerted its audience that the latest ID Theft Scam was an offer to “receive a free $1,000 Walmart gift card,” with this new wrinkle – it was propagated over short message service (SMS) text messages rather than in email messages. Thus the name, SMiShing, a combination of SMS and Phishing for personal information by email. The Anti-Phishing Working Group, Inc. is a worldwide coalition of institutions uniting the government, business and law enforcement response to cybercrime. This Federal Bureau of Investigation web page provides warnings and action steps to protect against common fraud schemes, including telemarketing fraud, health care fraud, identity theft (including Phishing and SMiShing), and those strange letters from supposed Nigerian government officials. All too often I hear from people explaining how they are faced with a big problem, that they are being dumped on by a company or another party, and surely something should be done about it. Many times, in actuality, the other party is within their legal rights because of a written legal contract signed by the person complaining. All too often, people sign documents that they do not read or that they do not understand, which can cause serious trouble! 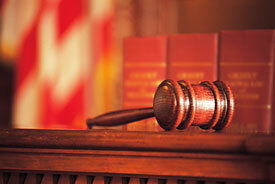 Legally speaking, you are presumed to have read and understand any document or agreement that you sign. Generally, it matters not that you did not read it or that you did not understand it. Therefore, if you have not read it or if you do not understand it, please do not sign. If you have a question about legal contracts, it may cost very little or nothing to simply pick up the telephone and ask an attorney to explain it to you. This is not to say that you are always stuck with every legal contract you sign. There are legal concepts with fancy names such as fraud in the inducement, misrepresentation, mistake of law, and mistake of fact which can be and are employed to set aside legal contracts when the facts make it possible. There are also breaches of the contract – sometimes even anticipatory breaches – that might enable you to terminate a contract which you have signed. But, without these factors being present, you can usually be made to comply with an agreement that you signed or pay damages for your failure to do so. When it comes to important transactions, I suggest that you get the document or contract in advance – these are often preprinted forms. In the privacy of your home or office, without being rushed, review the document or agreement. Although the wording may be somewhat difficult or strange, you should be able to figure out who is who in the agreement. But, there may be concepts or other terms which carry important legal significance which you do not understand. In that event, you should call an attorney for assistance. If you do not have the time and forethought to review an important document or agreement in this fashion, nevertheless read it before you sign it – even if it causes the other party to wait while you do so. If it doesn’t feel right, don’t sign it!! Do not let being in a hurry or your enthusiasm to do this deal cloud your thinking. The delay and disappointment may be small relative to the damage you do to yourself. Have you been in a situation where you were being asked to pay some amount of money or do something which you did not feel was right? As an attorney, it has been my experience that often, people are too ready to accept, believe and be governed by what other people tell them is “company policy” or “that’s the way we always do things.” In many cases, this is simply what the company has decided it will do – with no legal authority or basis to support their decision. When you find yourself in this situation, you may protect your legal rights by simply asking the person you are dealing with to cite the authority for the position they or their company are taking. Ask them to refer you to that part of the contract, applicable state or federal law, or rule or regulation which empowers them to require from you what they are asking of you. The effectiveness of asserting yourself in this manner is exemplified by a recent real life story. Several months ago a woman came to see me about a problem with her casualty insurance carrier. It seems she had submitted a claim to her carrier to repair property damage to her car caused by a dealership wrecker and the insurance carrier was insisting that the check be made payable to both her and the dealership. The dealership had paid off the lien on her car and purchased it for a diminished amount because of the damage to her vehicle. However, the dealership did not obtain an assignment of her lienholder’s rights and therefore did not step into the shoes of her lienholder. Nevertheless, her insurance carrier was insisting that the dealership be included as a payee on the payment of the property damage claim. She knew that if the dealership was included as a payee she would never be able to obtain the money from the payment of the claim. Large businesses tend to run rough shod over people and take advantage of their ignorance. However, you can be smart enough to thwart these efforts by simply insisting that they cite their authority. In any matter that will have a substantial impact on your life or livelihood, ask yourself “What is the worst thing that can happen and how do I prepare for it?” Do whatever is necessary to make this habitual. It is the first step toward your legal health. In this true story, my friend and client suffered a $1 million loss, which was worse than anything he had imagined happening to him. I received a call from my entrepreneur client saying he needed help immediately because his company had developed a software program that had been stolen and it was going to cost the company approximately $800,000.00 over the next three to five years. His company had invested about $150,000.00 developing this software that was expected to be very popular in the theft identity/identity restoration arena. They had entered into a confidentiality and nondisclosure agreement with a nationally-known security company. His partner had worked with the security company lawyers to prepare a marketing agreement, which was related to the agreement concerning the development of the program; and the company was to be the exclusive representative of the security company to sell and distribute the software to banks. However, on a recent visit to his bank, he had seen documents which were a mirror image of the program he and his company had developed. Unfortunately, I also learned that this company did not seek the advice of an attorney in preparing the written agreements with the national security firm. The terms and provisions of the marketing agreement were very heavily weighted in favor of the security company, whose lawyers prepared the agreements. These gentlemen had exhausted their resources developing the software program and had no funds left to pay an attorney to seek redress. Conversely, the probability of success and the amount known to be in controversy was not sufficient to motivate a good attorney to pursue their rights and pay all expenses on a contingency fee basis. Combining the $150,000.00 they invested in development of the program with the $800,000.00 they anticipated earning during the next three to five years adds up to a total loss of about $950,000.00 — a very expensive mistake! they “got into bed” with the other party’s attorneys and trusted them, something entrepreneurs — nor you — should ever do! 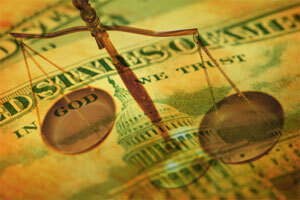 How much do you think it may have cost to employ an attorney for assistance with the legal agreements? And how much do you think that attorney’s advice would have been worth? In this case, it would have been worth a million dollars. Admitting your ignorance of how to protect yourself is the first step towards better legal health. The next step is to never trust the other party or his attorney to protect your interest. Many times, in discussing political elections or current affairs, we accuse our fellow countrymen of not thinking and being too ready to believe what they are told. This is also applicable to the legal aspects of our daily lives. As a consequence, we may suffer distress and even economic loss that are not necessary. Therefore, I’d like to provide you with advice and real life examples that will help you lead a more healthy legal life, and hopefully save you lots of money and stress. Even though oral contracts are enforceable in some cases, they can present enforcement problems, as illustrated by these true stories. Don’t risk the stress and financial loss described in these two stories: written versus oral contracts. In any matter that will have a substantial impact on your life or livelihood, ask yourself, “What is the worse thing that can happen and how do I prepare for it?” Do whatever is necessary to make this habitual. In this true story, my friend and client suffered a $1 million loss: the worst that can happen. Too often, we feel ready to accept what we are told is the “company policy” or “that’s the way we always do things,” when in fact a company has no legal authority or basis for its decision. This one simple request may save you money and stress: cite your authority. Also too often, people sign written contacts that they have not read and don’t understand. This can cause serious trouble! 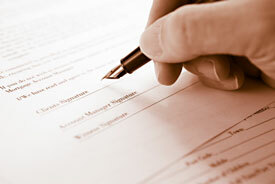 Legally speaking, you are presumed to have read and understand any written contract that you sign. Read more about how to protect your self: regarding written contracts, if you signed it, you’re probably stuck with it. We’ve all heard about “backing up” computers to protect our data–but what about your wallet? If your wallet ever falls into the wrong hands, it won’t be a welcome hassle, but there are precautions you can take to make the process easier and help you protect against identity theft. When paying credit cards with a check, DO NOT put the complete account number on the “For” line; just include the last four digits. The credit card company knows the rest of the number, but anyone else who handles your check as it passes through all of the different processing channels won’t have access to it. NEVER print your Social Security Number on your checks (you can always add it if necessary, but if it’s printed, anyone can get it). Also, keep your work number and address printed on your checks as opposed to your home information. Copy both sides of the contents of your wallet: license, debit or credit cards, etc. Keep your photocopy in a safe place so you’ll know everything that was in your wallet in case of loss or theft, including card/account numbers and phone numbers needed to cancel accounts. Terminate immediately. In the event your items are stolen or misplaced, you can easily terminate credit cards, which should be done immediately. Just call the toll free numbers on your copies. File a report. Along with canceling accounts, immediately file a police report in the jurisdiction where your credit cards and any other important belongings were stolen. This proves to credit providers that you were diligent, and it’s the first step toward a potential investigation. Place a fraud alert with the three national credit reporting organizations, along with the Social Security fraud line. This can stop identity thieves in their tracks. By following these 7 rules, you can decrease the chance of fraud and protect against identity theft, as well as lessen the trouble if it does happen. At A. Lewis Ward & Associates, we certainly hope our recommendations help strengthen the defense of your identity against identify theft.